…High Schools, that is. Yes, it’s that time in our household to make preparations for high school, which is so close on the horizon we can almost touch it. You care because the school my kid ends up attending is the one you will have to endure hearing about on this blog for the next four years! Putting serious effort into choosing a high school has made me think back to my own teen years more than once, because this is like no high school experience I’ve seen before. It is surprisingly similar to choosing a college, and I am drawing greatly on my college experience to guide my kid through her approach. This may very well be one of the reasons why children of college graduates have an advantage over other kids; or why at the University they thought it was such a big darn deal that I was the first in my family to get a college degree. I cynically assumed their praise was merely because a new person was in the Ivory Tower Club. That may not be true. Since my time at Brandeis University (only 4 years ago), I have wondered if the statistical difference between children of college-educated and non-college-educated parents was related to insights the elders could provide, that might smooth the path for the youth. I began thinking this after some dreadful mistakes in financial, coursework, and lifestyle planning in my first year; things that significantly set me back that could have easily been avoided or mitigated if I had asked for help or had been a little more savvy. I won’t wait for my daughter to ask; I’ll just put it out there! 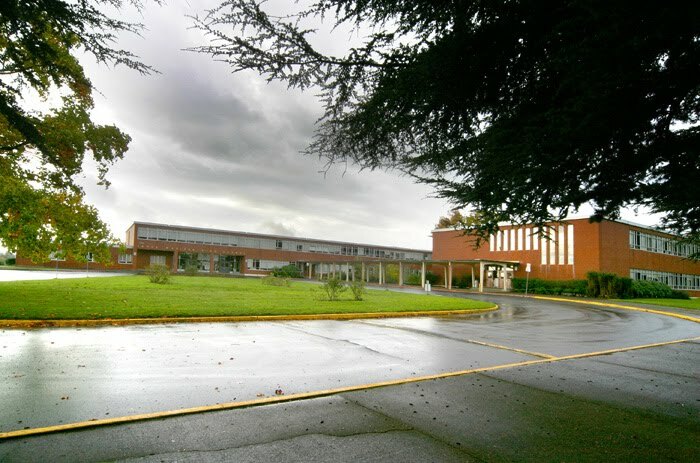 Portland Public Schools encompasses 7 traditional high schools, plus a polytechnic high school (focusing on teaching trades), and a young women’s science and math high school. Every student is expected to attend the neighborhood high school, with the option of attending any school in the city through a lottery system. Each high school apparently has a specialty, such as music, or preparation for law studies. Because students and their parents can shop around, each school held an open-house to show off their school attributes. Compare all this to my high school experience. In our tiny ranching/logging community of 603 people, the one school building held every grade from Kindergarten through high school seniors. There was no question where to go, and there was no need for open house nights and all these advertising brochures I keep getting in the mail. The higher education teachers taught 7th through 12th. My science teacher, for example, was my teacher in every scientific field of study for 5 years in a row (I elected not to take physics my senior year, or it would have been 6). Good thing I liked him! My daughter can go online for the high school course catalogs to plan out her next four years to her best advantage. At this stage, we can compare course offerings to see which schools can teach her what she’s interested in. Compared to my choices for English classes in high school (English I, II, III, and IV), at one of the schools, Tara can choose from 24 English and Literature courses, including traditional work but also an accelerated reading program, literature in film, classics, creative writing, and an honors course. Art classes are taught by different teachers who focus on fine arts, sculpting, woodcraft, or graphic design. At one high school, there are 22 dance classes to choose from, at another, three of the 14 available math classes are college accredited. We were told a student can graduate from high school with a Freshman year of college already finished! Franklin from the outside: Wow! My suggestion was to visit the schools during open house, to gather more information. Though we can consider all of the schools, we’ve narrowed it to two. Tara is motivated like most people her age, by wanting to go to the school where her friends will go – that’s Madison, our neighborhood high school. 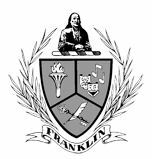 But Franklin is closer to the house (school district boundary lines are suspiciously drawn in a manner similar to voting districts), and in a part of town we visit frequently. The demographics of Franklin include more higher-income families (so I assume that will mean more parental involvement), and the school building itself is inspiring! Madison from the outside: Eh. Our open house visits helped clear my vision. Franklin was full of parents and students, enthusiastically pointing us to the places we wanted to see. The library was impressive. The dance classes and AP math classes are tempting. Tara was drooling over the Animanga Club (“Anime and Manga combined? It’s perfect!”). 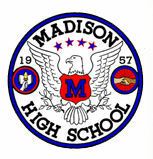 Madison had an entirely different feel because it was filled with teachers. Teachers everywhere, dressed up like it was an Event, standing beside elaborate, professional-quality displays on different subjects. One told me, a bit sheepishly, “Yeah, this night is a pretty big deal for us each year.” They vied for our attention, pulling us from one academic topic to the next, then pushing us to the full-time, in school art gallery, then coaxing us outside to get a tour of the school’s community garden (run by students who actually take a class for it). The teachers had nothing but praise for each other, and they raved about how much they loved being at that school compared to other schools. 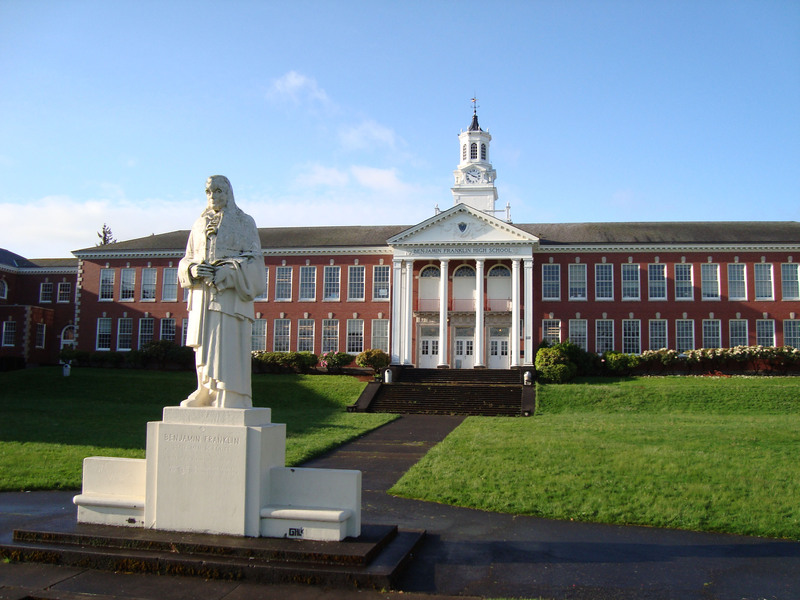 Honestly, any one of the Portland High Schools would have a greater range of learning opportunity than what I had in my small country school. So I could confidently say that any school she attended would be fine. I am a dedicated subscriber to the belief that education is dependent upon the student and the parents, after all. However, after visiting the schools, I must admit that Madison won me over. If that many teachers are that excited about teaching, some of the enthusiasm is bound to rub off on the students. All I want is for her to care whether she’s there or not, so she’ll be motivated to put some effort into it. I am pretty sure that Madison High School is where that will happen. I gotta admit, a community garden ran by students would totally sell me on a high school. Ha ha, you’re a nut! The garden is awesome. It even has a mini-open classroom set up in the middle of it, and rainwater collects from the roof in barrels, to be used for watering. There is a fruit tree section and perennials, and the vegetables go to the cafeteria for salads. They also do composting. Tara wants to be an arborist, so she was psyched about the garden too.